Several people (if you want to see your names mentioned in this thread: please let me know!) have pointed me to reports about Martin Stone (formerly KU Leuven) having been accused of plagiarism. If you search the KU Leuven database for him at http://cwisdb.kuleuven.be/persdb-bin/persdb you get "Uit dienst sinds 20 december 2009". As far as I can see none of the journalists reporting on this are reporting on having tried to contact Martin Stone (and the results). And I know of no statement by Stone on these accusations in any other place. A British academic has resigned from his post at a Belgian university after being accused of plagiarising the PhD thesis of a member of the Finnish Parliament. Martin Stone, a professor of philosophy at the Catholic University of Leuven, was accused of plagiarism by Finnish Social Democratic MP Ilkka Kantola. Dr Kantola told The Voice, Leuven's international student magazine, that he was alerted to the matter by Michael Dougherty, an associate professor of philosophy at Ohio Dominican University in the US. After comparing his thesis, which was published in 1994, with an article by Professor Stone, Dr Kantola discovered that "tens of pages were identical or nearly identical, although my name was not mentioned at all". Peter Marynen, vice-president for research at Leuven, told Times Higher Education that the university's Commission on Scientific Integrity had investigated the allegation. The commission submitted a report to Leuven's executive board, which concluded that "the conduct of Martin Stone is highly questionable in terms of scientific integrity". Professor Stone, who is also a visiting professor at King's College London, resigned from his post at Leuven during the investigation. Leuven "considers all publications of Martin Stone with a K.U. Leuven affiliation as problematic", Professor Marynen said. "The university no longer considers these publications as being part of its scientific output and retracts its affiliation with them. All publishers and editors of publications of Martin Stone with a K.U. Leuven affiliation have been formally informed," he said. Yesterday I sent an email to Martin Stone at his KU Leuven address ( Martin.Stone@hiw.kuleuven.be ). The address seems still to work (at least I didn't receive any sort of error report). I have not (yet) received a reply by him. The most recent piece on this affair known to me is: Melanie Newman: Plagiarism probe sees UK scholar quit Belgian post (2010-03-11). Also Brian Leiter now points to this text (at http://leiterreports.typepad.com/blog/2010/03/medieval-philosophy-scholar-accuse d-of-plagiarism.html <2010-03-11>), with "Medieval Philosophy Scholar Accused of Plagiarism" as the title of his posting. A statement concerning this case by the editorial board of the 'Recherches de theologie et philosophie medievales' was printed in its most recent number LXXVI, 2 (2009) (I'm afraid it doesn't appear in the online version, only in the printed one). This statement leaves no doubt and is the most balanced account about this case that I read thus far. Apparently, the story only received national and international attention after an article had appeared in a student paper, The Voice, two months post factum. The said article is quite tendentious (and as a result, most subsequent articles are too), and a reply by the dean of the relevant faculty against some unfounded allegations will be printed in the next issue. first of all: thanks for the posting! Do you have the page number(s) for the item in Recherches de theologie et philosophie medievales 76.2 at hand (to facilitate looking it up at the library (hoping that ours has already made available the most recent number of that journal ))? BTW: If you want to use this forum here for a (non exclusive) preprint of the statement sent to The voice, you are welcome to do so. The dean's statement is available in the latest newsletter of the Leuven Institute of Philosophy: http://www.hiw.kuleuven.be/ned/nieuws/index.html. The page numbers of the statement in the Recherches are v-vi. I guess that's why it does not appear in the online version, because it's considered to be part of the preliminary material. Thanks to a Danish colleague I now found the note on the web. It is at http://www.peeters-leuven.be/pdf/RTPM7602009.pdf . This has now also been published by The Voice at http://www.thevoiceleuven.be/news/education/220-voicemail-reaction-from-the-inst itute-of-philosophy . Up to now there seems to be no reply by Ielse Broeksteeg (or somebody else at "The Voice") to this reply. Now see also http://plagiointitutkija.blogspot.com/2010/05/martin-stone-jatko-osa.html . Sadly, I do not see any plausible way to defend Stone against that accusation: I do not know any other word than "plagiarism" for what he did: see http://www.phil-hum-ren.uni-muenchen.de/W4RF/YaBB.pl?num=1251109047/1#1 . I have received information concerning an item in the paper version of issue 72.1 of Tijdschrift voor Filosofie (p. 3/5, to which I here do not have access, as it is not in the electronic version). According to this information the article Truth, deception, and lies in volume 68 (2006), pp. 101-131 has been retracted as it has been found to plagiarise work by Johann P. Sommerville ("The 'new art of lying:' equivocation, mental reservation and casuistry," in E.Leites, ed., Conscience and casuistry in early modern Europe, Cambridge University Press 1988, pp. 159-184) and others, and the above mentioned article from vol. 68 will not be made available in the electronic version of Tijdschrift voor Filosofie. Pernille Harsting pointed me to a text by Enrico Pattaro, Fred Miller Jr., Carrie-Ann Biondi, editors of the Springer publication A Treatise of Legal Philosophy and General Jurisprudence (series & Vol. 6), a text which is available at http://www.springer.com/cda/content/document/cda_downloaddocument/Stone_plagiari sm_Springer+website.doc?SGWID=0-0-45-944037-p173660082 ("A Treatise of Legal Philosophy and General Jurisprudence Announcement"). As we see in the deepest circles of Dante’s Inferno, nothing dissolves the trust that anneals any society more than crimes of fraud and deception. I agree completely. And this aspect is the probably major one which makes me unhappy about the case in question. If we have to check each and any citation/quotation in the work of others which we use (instead of, as I do now, just a random few plus those which I consider to be extremely crucial for my own work), we can either choose to forsake progress (because all of the time we have for research will be spent with checking other people's sources), or to stop using texts written by other contemporary scholars - and I guess neither is a good choice. Scholarly standards serve the discovery of truth, which even now, except one be a nihilist, is said to be the goal of scholarly research and philosophic inquiry. I don't consider myself a nihilist, but I guess I will have to accept that label. IMO the goal of research is research (to me it is an end in itself, just like music), and the goal of philosophical inquiry is thinking and enticing other to think too. In non-religious contexts IMO "truth" exists only in hindsight and as a plurale tantum. what it claims to be. IMO the original authors are not "raped" their "thought and speech", but they don't get all of the praise and laurels which are due to them. As for editors and publishers: yes, "if they publish plagiarized material" they will "appear negligent". But: they or the reviewers who worked for them IMO will have been negligent. Yes, I have (co-)edited some things myself; yes, I confess that I did not check everything in every item which appeared in a volume (co-)edited; yes, I think that there is the possibility of something like "unavoidable negligence"; yes, I do consider myself guilty of such "unavoidable negligence"; but still IMO even "unavoidable negligence" is negligence. Concerning the readers: I agree completely. ripple through the whole scholarly community. I cannot remember that I ever used the word "original" as a word of unreserved praise for any scholarly text. "Originality" IMO is often a good thing in the work of an belles lettres author, but rarely to be sought in the work of a shoemaker or a plumber, and a doubtful and twoedged something in scholarly literature. Emery then has a discussion of reviewing which IMO is very thoughtful and thought provoking but which I won't comment on here. for the world of learning? First of all: IMO this is a great piece, a result of a lot of hard labour. 40 (yes: forty!) publications by Martin Stone were examined, and in each of them they have found Stone to be a plagiarist, and they identify work by others which was plagiarised and provide means to check their claims and example citations. Reading this is the probably most frightening dark ride I have ever been on. and translations published in earlier works by other scholars. And now I am hoping for an open access version of their dossier, so that there are improved chances that whosoever searches on the internet for "Martin Stone" will also find this text, and can then check and decide whom to quote as the source of a statement made by Stone/"Stone". Michael V. Dougherty has written on this affair (and the dossier) in his 2010-07-16 Thomistic Scholarship and Plagiarism on Thomistica.net. That Martin W. F. Stone succeeded in publishing the words and research results of Fernand van Steenberghen, Ralph McInerny, Carlos Bazán, John Wippel, and Lawrence Feingold (among others) as his own, in academic journals and in books with reputable publishing houses, must surely cause scholars to take note. Allow me to repeat two requests made in the introduction to “40 Cases of Plagiarism.” First, as the great majority of Stone’s pieces examined in the article have not, at present, been retracted by the editors and publishers of these pieces, we encourage the many authors, editors, and publishers whose legal copyright and intellectual property rights have been infringed, to seek retractions of all the pieces plagiarizing their original work. Secondly, we caution that the evidence published in the Bulletin article is not exhaustive, and urge other readers to supplement our findings. More on the Martin Stone plagiarism situation, with some relevant commentary for academic publishing more generally. Interesting to note, I did a search for Martin Stone because I remembered mentioning him in the past, and his work with John Doyle on Cajetan popped up. Since that posting, KU Leuven has removed his faculty page, and apparently the Cajetan volume has even been changed. Cornell UP (distributing for Leuven) has removed Stone as editor and replaced him with Victor Salas. 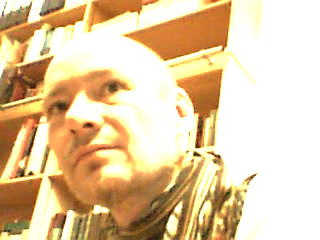 The above items have moved, and are now at http://thevoiceleuven.be/news/education/188-interview-with-a-victim-of-plagiaris m and http://thevoiceleuven.be/news/leuven/177-kuleuven-involved-in-new-plagiarism-sca ndal . I was alerted to the items not being at their original place yesterday, and found out about their new location thanks to http://archiv.twoday.net/stories/6432894/#6433352 . See also the links there and at http://archiv.twoday.net/stories/6432894/ . and Early Modern Times (Helsinki: Luther-Agricola Society, 1994). 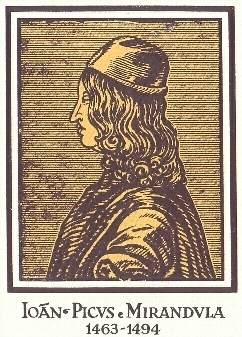 (I. Kantola) and the copyright of the publisher (The Luther-Agricola Society). Such plagiarism represents a serious assault on intellectual integrity. despatched to subscribers together with fascicule 86/1  of ETL. This article is no longer available online. We refer to the editorial note published in Ephemerides Theologicae Lovanienses 86.1 (2010). If you try to download this article, you will only see the editorial note, not the article itself. That editorial note is at http://www.peeters-leuven.be/pdf/ETL8601EditNote.pdf . I am happy about the retraction. But I feel less happy about the fact that researchers on an extreme case of late 20th and 21st century plagiarism will be restricted to using the version on paper. It is good that at the original place of the electronic version of the article there is the editorial note instead of the article itself. But In don't see why the article itself can not be made/retained available (with proper warning to readers like the one given via the self-adhesive labels to put on the article in the version on paper) at some other place linked to from the editorial note. Thanks to Michael V. Dougherty for alerting me to that note! of the History of Metaphysics, 6 (2006), pp. 335-372 (Brepols Publishers). any decision you will make about the status of this publication. The K.U. Leuven sincerely apologises for this extremely unfortunate event. hoping that he is still alive) as well as to all our readers. The affair is mentioned briefly (and without mentioning the offender's name) on p. 6 of the recent issue of The voice (http://www.thevoiceleuven.be/images/stories/voice_y14i1_sept2010_screen.pdf ). Eric Schliesser: On Plagiarism and the Refereeing Institutions of Philosophy (2010-09-23). Now, maybe it's because I collaborated on some projects with Martin (i..e, hosting workshops), have sent students to Martin, and at one point wished to be colleagues with him at Leuven, but here I do not want to analyze the motives and aims of Martin. Nor, do I wish to explore today if a disgraced scholar should ever be rehabilitated. Rather, I want to call attention to the rather lukewarm, if not indifferent, reaction of the editors and journals/presses that have published his work. A quick search on Amazon shows that a lot of books that contain chapters with Martin's work are still available. (I know of one Cambridge Companion that will expunge his chapter in a forthcoming second edition.) Moreover, while some journals have started withdrawing Martin's work (see the second link above), others appear to hope the whole issue will blow over, or are rather slow-moving. Anyway, what does not seem to have happened is a general discussion about referee-ing. Nevertheless, the Martin Stone case suggests that the referee process is broken in rather serious fashion. Stone published in leading specialist journals and also with leading presses. It means that lots of people missed a considerable amount of plagiarism. What is even more striking is that this happened in a small-ish sub-field where folk pride themselves on learning, their languages, and scholarship. If Stone got away with plagiarism, it is not impossible others are, too. Have any presses/journals started thinking about procedures/processes that will catch these earlier in the system? There is now a lot of plagiarism-software on the market, maybe some of this needs to be adapted for or sold to presses? Anyway, peer-review is not working, and we need to have an open and honest conversation about this. Some of you readers of this forum might also be interested in some of the comments to Schliesser's text. I guess that part of the problem might be due to the fact (which in itself IMO is not a problem) that most publishers of scholarly books and journals are commercial enterprises (directly or indirectly) - legitimately aiming at catering for a public greater than the number of persons you could seat in the smallest of our rooms for seminars. A real specialist in any rather small field X will have good chances at spotting plagiarism in a text on a topic in X when refereeing or reviewing that text. But: in each of our rather small fields of specialised studies there are rather few specialists working there and there response to a text written by somebody else in that filed might be due to its (non-)congruence to their own views and on their personal relationship with the author. And a specialist will review a text as a specialist and in quite a number of cases will not be able to view that text also with the (lack of) knowledge and (often mistaken but real) expectations of a somewhat broader public. And it might not be a good idea to have somebody as a reviewer or referee of a text in which that reviewer or referee is mentioned in the acknowledgements. (Some anecdotal items concerning this: Once I was on a meeting of subject editors for a review journal, and we were told that it was not a good idea to ask any person A to review a book by person B if we <the subject editors> were on a first names basis with either A or B <let alone both>, and the response by me and a subject editor from an other field was that in this case there would be almost no new reviews from our fields in that journal. A person known to me once was asked by the editors of a journal to which he had submitted a text to revise the text by providing some additional information, making his text a bit less esoteric and more appealing to a more general public; his response was that anybody who was interested in the topic of his paper would be able to understand it written the way he submitted it and would consider any additional information as superfluous; <he probably was right on this>). Thus: while real specialists will be good at spotting cases of plagiarism, they often are in other respects not always ideal reviewers and/or referees for a journal or series which wants the texts published in it to be of interest to any audience with more than, let's say, ten to thirty members. Yes, in theory there might be the option to have any submitted text examined (and a published text reviewed) both by real specialists and by scholars who just work in the broader area containing field this text is about. But I doubt that we would be willing to accept the extra amount of work this would entail for us as reviewers, and the degradation of response times it would entail for us as authors. Re: Schliesser on Martin Stone, plagiarism, &c.
The Martin Stone case is also addressed and/or linked to) in comments #99, #100, #167, #168 to Teresa Nielsen Hayden: Plagiarism and the mechanics of privilege (2010-11-15). The case by now by now seems to have become some part of public knowledge well beyond the field of medieval/renaissance studies, and Stone may have reached a level of prominence by his known acts of plagiarism which would have been difficult to attain by working as expected - though I doubt very much that that level of prominence is of any use to Stone. There was nothing (known to me) to add to this thread for a whole year minus a day. Eric Schliesser: WTF...A Known Plagiarist in a Cambridge History?!? (2011-11-15) (with a number of comments). Thanks to to Michael Dougherty <MVDougherty on this forum here> for pointing me to this on facebook.